Egypt giants Al Ahly has officially declared they are in ongoing negotiations to bring back Huddersfield winger Ramadan Sobhi to the club in the upcoming January window. Sobhi joined Huddersfield in the preceding summer window after the relegation of his former club Stoke City to the Championship. The 21-year-old has not found enough space for himself after four months at the club as he only participated in four games in the Premier League this season where he came on as a substitute in all of them. However, with Al Ahly youth product looking to rediscover his form and get back in contention for the Egyptian national team it looks like he is willing to return to the club that launched him. 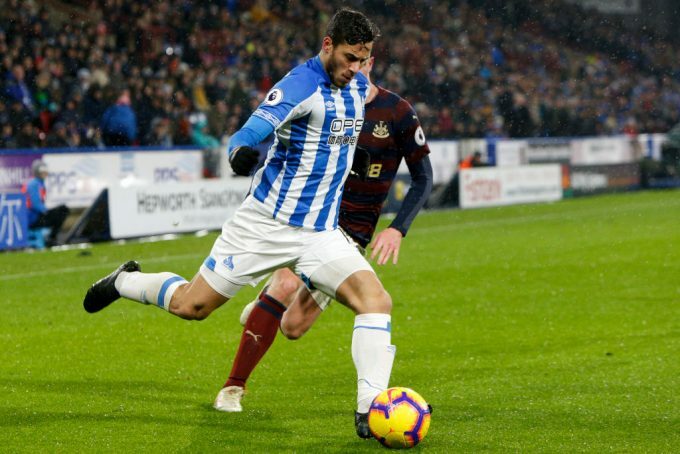 “The club management confirms that negotiations with Huddersfield winger Ramadan Sobhi is still ongoing and in advanced stage. A deal will be officially announced once it’s definitely sealed,” Al Ahly said in official statement. Go to Italy or Germany and learn how to play the non ball element of the game, don’t come back here to show off dribbling skills and never develop. As an Egyptian football fan, this deal is bad for EVERYONE! For Sobhi, it is an admission of failure. He should have never went to EPL straight away but now he shouldn’t just come back. He should drop down a level, to championship or lower league and get regular 1st team football. But now it looks like he is happy with the delusion that succeeding in Egypt after failing in England is somehow an achievement. It is a bad deal for Ahly who are just cementing their reputation as a dump for any player who fails. He will probably improve their quality but it is such an odd philosophy to sell your young talent abroad, the fans criticise him for his bad form and then celebrate the return of this player that failed to make it abroad. It is bad for the N.T and Egyptian football in general, since we are losing out on a good player and it reaffirms the message that young players don’t have to try hard to make a successful career. Essentially Ahly and Zamalek will treat you like heroes, when the truth is you are not good enough to play regular football for a relegation fighting team.